A glacier on the Andean peak - Cayambe - and the stream it feeds. The equator goes directly across that glacier. The world is constantly changing. Scientists and conservationists showcase events of climate change and global warming worldwide and are striving to slow down the effects. 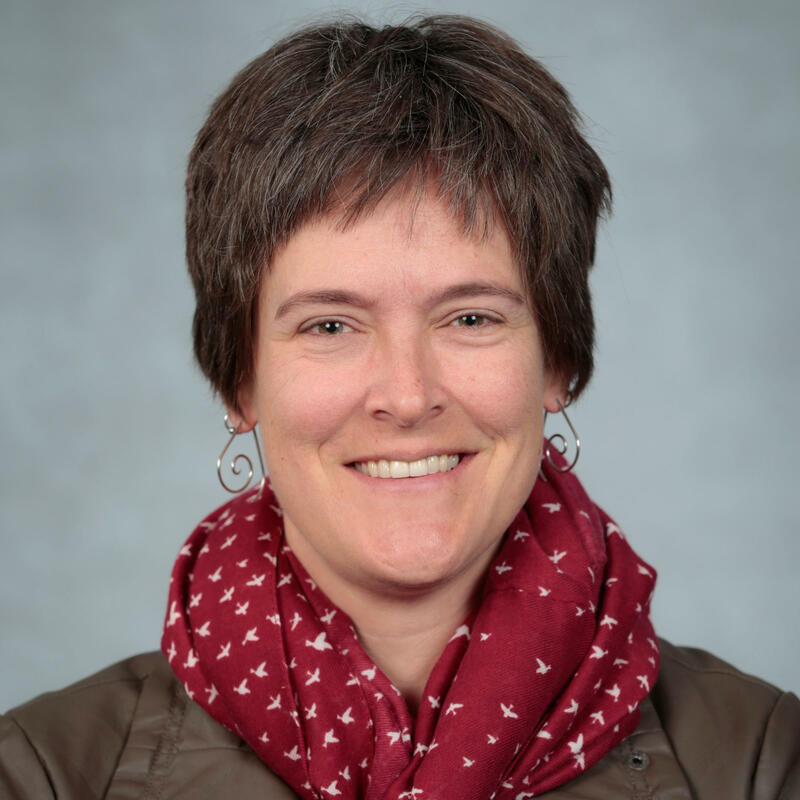 Dr. Deb Finn, assistant professor of biology at Missouri State University, has spent her career studying flowing water environments, but she specifically loves the alpine streams, which are in high altitude environments above the permanent treeline. "Where they come from varies from things like maybe a big glacier melting off into a stream or it might be coming out of a hole in the ground from some small groundwater aquifer or it might come from seasonal snowfall that's melting," said Finn. "All these different hydrological sources make totally different environments for organisms to live in, for ecosystem processes, like, say, decomposition processes or things like that to happen. " Although she enjoys studying the spatial pattern of the streams, she is invigorated by studying the occupants of the streams, and due to this global change, she is motivated to learn as much as she can before the environment is permanently altered. "There's more carbon dioxide per unit volume in the atmosphere than in the entire history of humanity, and one of the things that that does is it makes, on average, it makes the earth temperatures get warmer. The process happens to be happening much more rapidly," said Finn. "Places on earth where climate change is progressing the most rapidly are very high latitudes, so the poles. You might've heard about the concern with polar bears running out of the ice and things like that. But also, the high elevations, so alpine zones and polar areas are where climate change is really happening fast, like to where you can see it in the span of a decade." Finn tells about a specific instance in which she saw climate change up close. "We had hiked a really long ways, but it turned out ... It just hit us right in the face. We're like, 'Oh. 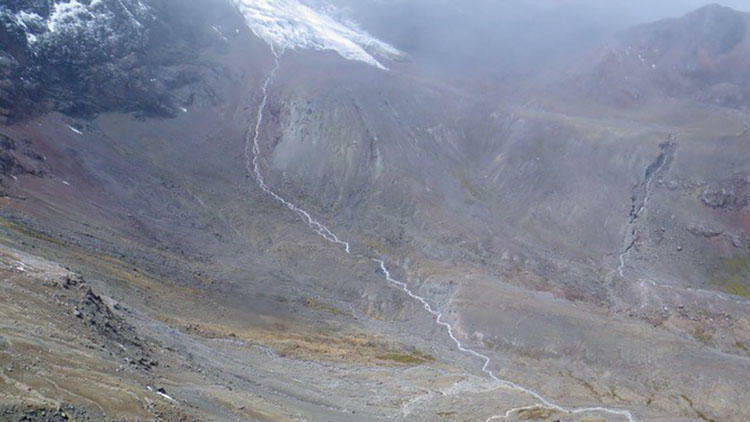 This is where the glacier was 10 years ago, and we can't even see it now.' That particular case, it had receded in 10 years about 500 meters," she said. "You know this from reading textbooks or from some professor, like me, blabbering away, like, 'Oh, yeah. The glaciers are receding,' but when you experience it, it's like, 'Whoa. This is happening super fast.'" Finn often studies insects that live in these streams in order to understand how one isolated population might be similar or different than one in another location, perhaps a different mountain or in a stream with a different source. "Can we get a grip on understanding how these systems work before we might maybe lose one system type, like, say, the system that is the stream that's fed by glacier runoff. If the glaciers go away, that kind of stream is not there anymore. So, a big question, whether it's temperate or tropical, is, 'Well, when those streams go away, are we losing something big, are we losing some sort of benefit, some sort of extra diversity or ecosystem type?'" She conducted a recent study in Ecuador, and now, the city of Quito, Ecuador is addressing a primary concern for them: What happens to the people if their main source of water dries up? "There is a municipal government organization in partnership with The Nature Conservancy group to fund studying these streams and environmental impacts on them, so they're basically training all these guys that work up in the headwaters that feed Quito, that protect the headwaters, they're now training them how to collect some basic stream data and monitor the places to see if temperature is rising, if nutrient content of the streams is ... water quality, all of these basic environmental baseline type things, if they're changing," she said. Over the last several years, wine enthusiasts have cheered over the revelation that red wine has positive health benefits. While many assumed it was the grapes, skins and juice providing the antioxidants, the grape seeds took the back seat - until now. Is Biodiesel the Wave of the Future? The sustainability movement continues to grow and evolve. Individuals are more concerned than ever about the source of their foods, materials and products they purchase. This focus has caused many industries to look closely at their processes, products and byproducts – ultimately to improve themselves and improve the reputation of the organization as a whole.